Zero-fee stock trading app Robinhood is completing a huge fund raise to fuel its attack on old brokerage firms that charge around $7 to $10 per trade. According to sources, the round is led by Yuri Milner investment vehicle DST Global and values the company at $1.3 billion. Robinhood declined to comment. Robinhood got its start in 2013 by offering a way for younger, less-wealthy users to start investing. It provides an easy-to-use app for free tracking and trading of stocks. Robinhood replaces the traditional brokerages like Scottrade and E*Trade which charge per trade to cover their brick-and-mortar franchise, sales staff and marketing spend. Because Robinhood instead employs a leaner engineering-focused team and doesn’t need physical locations, it can pass the savings on to customers and undercut competitors by charging no per-trade fee. Robinhood has since built a platform that allows other developers to offer zero-fee trades in their own apps. Last year, it launched its primary revenue stream, a $10 per month premium Robinhood Gold option. That allows users to skip the three-day waiting period for deposits and make trades instantly, as well as borrow up to double the amount of money in their account to trade on margin with leverage. Sources say Robinhood Gold has sold better than expected, which likely gave it the momentum for this big raise as investors seek to ‘pour gasoline on the fire’. Robinhood’s status was further bolstered by the fact that established brokerage Charles Schwab reduced its fees in February. Robinhood will have to continue to minimize fraud rates that could threaten its finances. It will also have to jump plenty of regulatory hoops to expand further abroad. It’s made in-roads to China through Baidu, though that will still be a tough market to crack from the outside. Earlier today, Fortune reported that Robinhood was seeking a round of financing valuing it at more than $1 billion. Sources tell us that the deal is essentially done, and was led by DST Global, which put in money at a $1.3 billion pre-money valuation. DST is best known for its investments in companies like Facebook, Twitter, Groupon and Zynga in the years leading up to those companies going public. Since then the firm has been quieter but no less active, as it continues to fund high-growth later-stage companies. 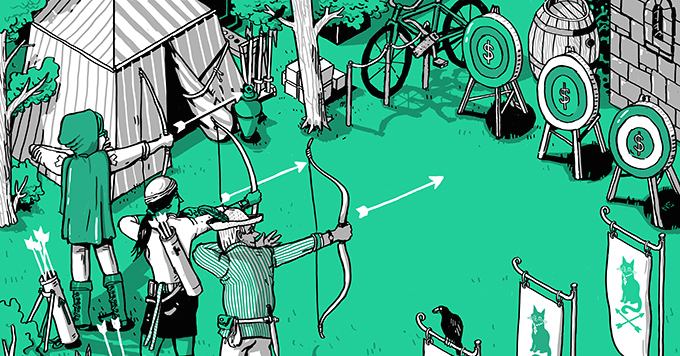 Most recently, Robinhood raised $50 million from New Enterprise Associates in early 2015. Prior to the DST investment, the company had raised $66 million total, with previous investors including Index Ventures, Andreessen Horowitz, Elefund, GV, IT Ventures, LocalGlobe and Machine Shop Ventures, as well as angel investors Aaron Levie, Dave Morin, Howard Lindzon, Jared Leto, Jordan Mendell and Nasir “Nas” Jones. DST and other investors may see outdated brokerages which haven’t swiftly adopted mobile technology as running scared. Unless or until they approach Robinhood’s $0 price point, the startup has an opportunity to steal their customers while recruiting new ones who aren’t rich enough to afford the traditional fees.